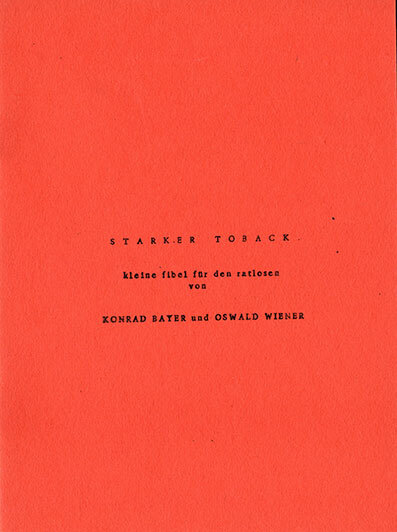 Original first edition from 1962. "Starker Toback - Kleine Fibel für den Ratlosen“. 20 pages, 14,6 x 20 cm, german. The booklet says "Dead Language Press, Paris" but this was actually self published by the authors in Vienna.